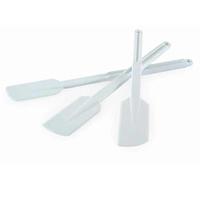 Little Rigid Plastic Spatula 11.81"
Medium Rigid Plastic Spatula 13.77"
Big Rigid Plastic Spatula 15.74"
Plastic tool for Round monoportion necessary to cut the sponge cake, or whatever will become the basis of the dessert. Size d. 2.56" h 1.57"
Plastic tool for Fan monoportion necessary to cut the sponge cake, or whatever will become the basis of the dessert. Plastic tool for Leaf monoportion necessary to cut the sponge cake, or whatever will become the basis of the dessert. Size d. 2.56" h 1.57"
Plastic tool for Daisy monoportion necessary to cut the sponge cake, or whatever will become the basis of the dessert. Size d. 2.56" h 1.57"
Plastic tool for Oblong monoportion necessary to cut the sponge cake, or whatever will become the basis of the dessert. Size d. 2.56" h 1.57"
Plastic tool for Clover monoportion necessary to cut the sponge cake, or whatever will become the basis of the dessert. Size d. 2.56" h 1.57"
Plastic tool for Moon monoportion necessary to cut the sponge cake, or whatever will become the basis of the dessert. 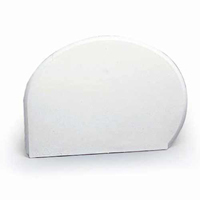 Size d. 2.56" h 1.57"
Plastic tool for Oval monoportion necessary to cut the sponge cake, or whatever will become the basis of the dessert. Size d. 2.56" h 1.57"
Plastic tool for Exagon monoportion necessary to cut the sponge cake, or whatever will become the basis of the dessert. 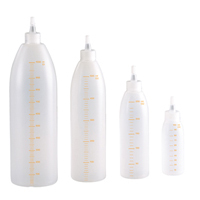 Size d. 2.56" h 1.57"